Survivor Review: What Are They Doing? 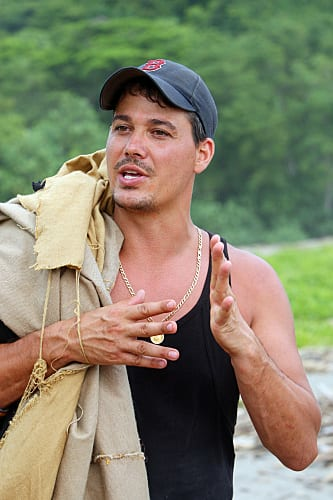 Boston Rob has proven himself a fantastic Survivor player this season. Beyond easily besting Russell, what he’s shown is the ability to adapt to any situation while figuring out how to keep the target off of his back. He’s in a great position in his tribe with a number of candidates whom his tribe mates would vote out before him. So why then did Boston Rob once again jeopardize this position within the tribe by working so hard for the hidden immunity idol clue this week? He has the idol already, what value do these clues hold for him? All that can happen is that someone catches him trying to keep the clue to himself and suddenly he’s no longer the Boston Rob who leads Ometepe, he’s back to Boston Rob the legendary Survivor villain. When Rob spotted the clue at the reward but realized it was going to be difficult for him to grab it without anyone seeing, he made a lot of sense saying that there wasn’t much in it for him to make a play to grab it if he’s going to get caught. So why was he in such a rush to see the clue once Grant had it? If his goal is keep his other tribe members in the dark about the clues, he’s accomplished that already. The contents of the clue are irrelevant. Beyond that, Rob knows he can read the clue at any time. He smartly fakes having no idea by suggesting that they need to read the clue immediately in case it is at the reward. Is his goal to convince Grant through playing dumb that he definitely does not have the idol? Any incremental benefit Rob gained from playing dumb with Grant was wiped away when Agent Phil discovered the two reading the clue away from the group. I believe that Rob will figure out a way to minimize the damage with Philip by saying that they planned to show Philip at some point, but didn’t want to risk it at the reward. The danger is that Philip now has a true story about Rob being deceitful if he ever needs to turn someone to his side. Andrea perhaps? The other potential flaw in Boston Rob’s game is if he’s underestimating Philip. Admittedly, it’s very easy to understand why he’d do so. Rob is Philip’s only friend, so if Philip tries to turn on him, he’d like be cut apart by the rest of the tribe for trying to do so. None of them like Philip anyway. But, what if Philip feels on the outside when the tribes merge and flips? 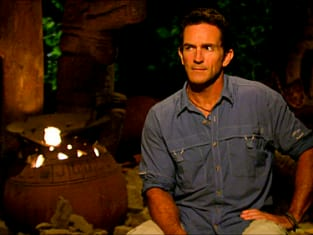 Despite David’s plea at tribal council that winning matters more than trust at this point in the game, he’s not correct. The merge is coming faster than they realize, it could happen next week for all anyone knows. It seems unlikely that it would last longer than two more episodes. When the merge comes, trust becomes numbers. 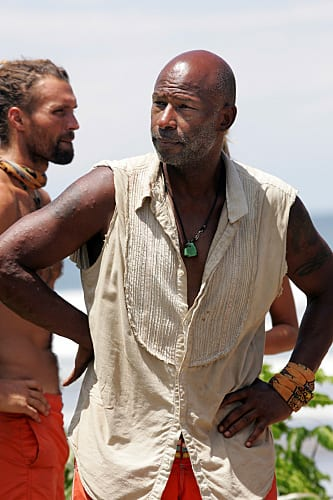 Unless Stephanie knocks Matt off at Redemption Island, Ometepe and Boston Rob could still have problems at the merge even if they have numbers. Matt’s unlikely to go back to his old tribe (especially after Andrea’s incredibly jealous moment at Redemption Island) and Philip could feel left out and offer to flip. David made a mistake being so vocal about keeping Stephanie over Sarita. His tribe was never going to do so and all it does is put a target on his back. Before opening his mouth, Sarita was next after Stephanie. Now? Who knows. It was really jarring to see the survivors so close to civilization at the reward. We’ve only seen stuff like that a handful of times in 20+ seasons and the previous times the rewards were interactive. Matt running the gauntlet at Redemption Island is not interesting. The further away he gets from actually being in the game, the less interesting his reinsertion could be. What would he do if the tribes merged and he came back in the game? He’d just be a swing vote, but all that’d get him is seventh in a seven man alliance. Why was Steve so mad that Stephanie and Krista voted for him? Who made more sense? People take the game so personally for some reason. Philip is amazingly insecure for someone who tries to come off the exact opposite. He’s not really interested in having the girls work around camp to lessen the burden on him, he just wants them to praise him for doing so. What a nut. Why did we have to see Natalie pulling Ashley's armpit hairs out of her armpit? I'm all about seeing lighter moments, but that was more than I needed to see.